Well, for whatever reason, it seems that the White v Withers case is back in the news. I was even interviewed about it myself yesterday. Today, barrister Rupert Myers (left) gives his views on the case in the Guardian's Comment is free column, and a lot of sense he talks too. He points out that failure to disclose assets may have far more serious consequences than the breach of privacy involved in 'self-help'. Further, referring to Lord Justice Ward's suggestion that search and seizure warrants should be used to obtain documents, he says that this is a "costly fiction" that "would draw out litigation and result in yet more of the assets on the table going to the lawyers". He concludes: "We should allow for the reasonable inspection of documents during divorce, and shield lawyers with a public interest defence from the unfairness of holding them responsible for the acts of those whose motive is to discover the truth." Well put. 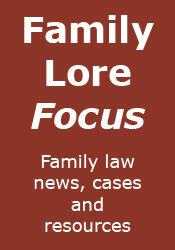 Myers' column is nothing more or less than special pleading for family lawyers. Why should two people litigating in the context of a marriage be subject to lesser protections (and their lawyers held to lower professional standards) than would be the case in other spheres? The damages Myers pleads (of hidden assets) applies in commercial and property litigation, proceedings for insolvency, actions to enforce judgements, etc. I am sure that a successful claimant in a personal injury matter, struggling to enforce their judgement, would have little sympathy for the argument that they deserve less "assistance" than spouses involved in divorce proceedings. If Myers' points are valid in other areas (being a family lawyer, I cannot comment), then perhaps there should also be protection for 'self-help' (within limits) in those areas too?